Sadaf Mahmood is a strategist, writer, blogger, journalist, heritage expert/activist and a public speaker. 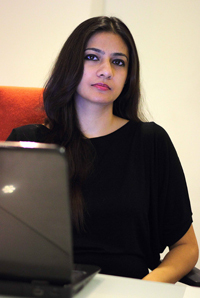 Sadaf devised a unique business model for a heritage preservation project and converted it into a social enterprise. Hence, she is one of the initiators of Reimagining Pakistan (RPK), a unique project to revive and restore the nations architectural and cultural heritage on a massive scale. She also gives talks and lectures on heritage and its importance. Sadaf is also the Programme Manager for Mosaic Enterprise Challenge Pakistan, an initiative of HRH The Prince of Wales. She was also part of the initiation of the entrepreneurial digital magazine of Pakistan The Pakineur a SEED initiative. Her expertise covers areas such as entrepreneurship, social enterprise, startups, innovation & strategy and leadership. She has been part of the development and strategy of several social enterprise development projects and is the Project Lead for PEMS (Potential Enterprise Mapping Strategy). She has various writing and editing projects underway that include manuscripts that she structures and works on as a substantive editor. She does a weekly show at FM 107 for a 1-hour slot, on heritage preservation and environment, and entrepreneurial solutions for these sectors and has appeared on shows on FM 91 & FM 100, Dawn TV, HTV, and AAJ, on entrepreneurship, culture/heritage, and women empowerment. Sadaf has completed an intense 10-day leadership programme for young business leaders by SEALA South East Asia Leadership Academy. She has also served as a facilitator at SEALA South East Asia Leadership Academy, a sister concern of SIBF Society of International Business Fellows, a US based think tank and organization. She is an IVLP (International Visitors Leadership Academy) alumnus, a programme by the State Department run in the US.